The Feds have an App for That! Check out these free, educational webinars and webcasts from the U.S. Government Publishing Office (GPO). Presenters from GPO, other Federal Government agencies, and from Federal depository libraries across the Nation present on topics related to Federal Government information and the Federal Depository Library Program. Some of the subjects covered can include: the Consumer Financial Protection Bureau (CFPB), minority health resources, Census Business Builder, HHS on Grants.gov, ERIC, cybersecurity, and Census Bureau USA Trade Online. Get assistance in learning how to use GPO's newest finding tool. The CGP is the finding tool for federal publications that includes descriptive information for historical and current publications as well as direct links to the full document, when available. Users can search by authoring agency, title, subject, and general keywords, or click on "Advanced Search" for more options. You can learn how to use the CGP by clicking on Help tab at the top of the page, or going here. Open government data powers software applications that help people make informed decisions in their lives and work. 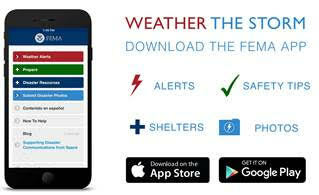 Download such apps as FEMA App, Food Security Patrol, Elder Care Finder, iCitizen, Social Security Benefits Planner, and Where Are The Jobs, among many others. This page contains just a few examples of government, community, and business tools that use open government data from the United States, are accessible, vetted, and available, and are, for the majority, free and do not require registration to use.